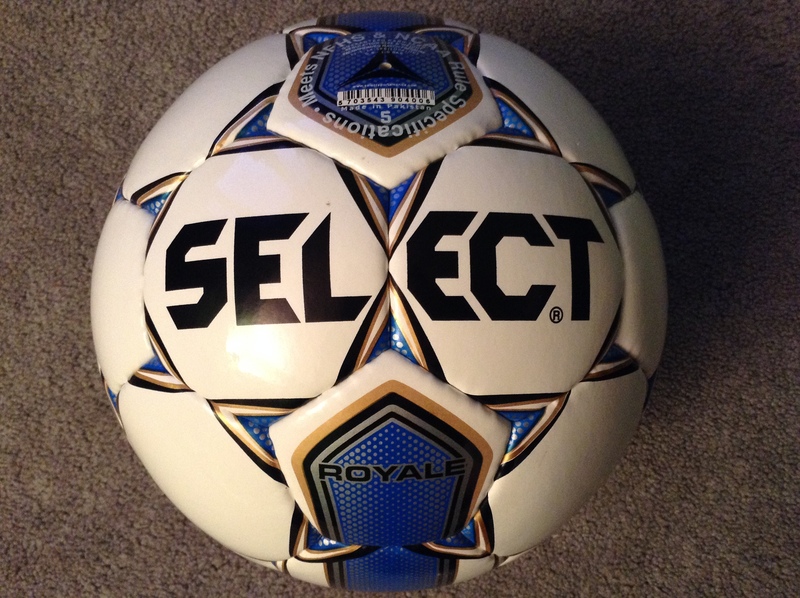 The Select Royale is an official matchball that is NFHS approved and IMS matchball standard, and costs a very affordable $69.99. For the price, it has the potential to be one of the best value for money on the market, and it can be used in high school and collegiate play. If you have ever had the opportunity to use the Select Brilliant Super, you will know that it is one of the best match balls on the market. Select’s Brilliant Super is used by the Danish national soccer team, and it has been used for around 60 years! 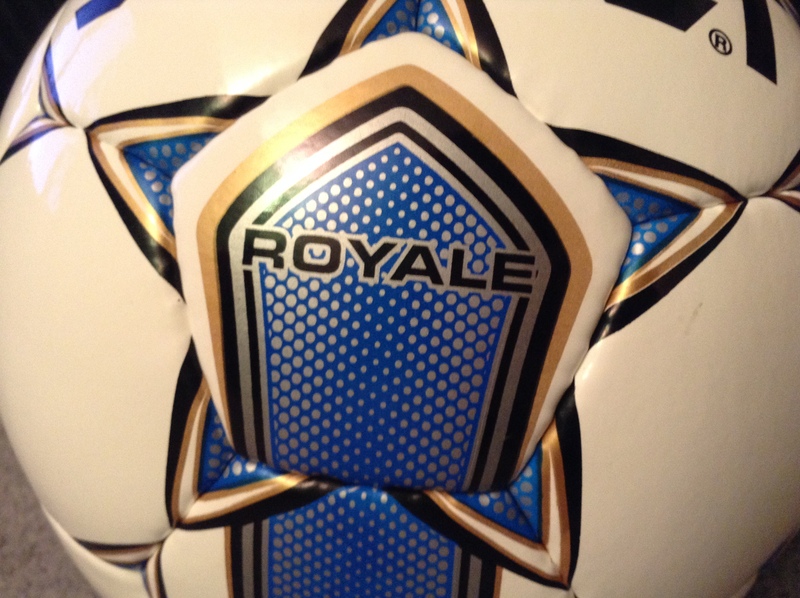 But does the less expensive Royale ball have such high performance and quality in play? You can buy the ball on soccer.com and you can check out Select’s wide range of products on their product page. The Select Royale line received a full graphics upgrade in the 2014 version. Although it may be hard to recognize some of the graphic changes, there are some subtle design additions which I actually like. 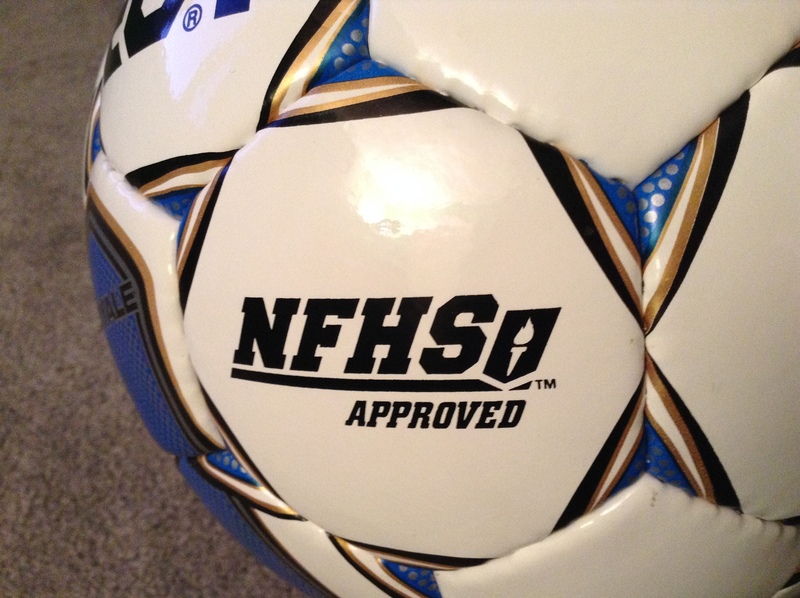 The ball itself has a 32 panel design, hand-sewn, and has a 1.8 mm PU synthetic leather casing. According to the Select Encyclopedia, balls made with PU are softer, of higher quality, and are not affected as much by weather. Also, Select does not use foam to make their balls, as foam may seem softer, but can disrupt the balls balance and flight pattern. The other main feature of this ball is that it is hand-sewn. Hand stitched balls make for more hidden seams that are consistent and durable. Personally, I prefer hand stitching because exposed stitching is prone to tears and thermal bonding can be inconsistent and sometimes feels like a cheap plastic. There may be concern raised over the process of hand stitching (poor work conditions for workers) but Select does address that in their story. The hand sewn soccer balls are made at the factory in Sialkot in Pakistan. Select has never used child labor – on the contrary all the people working for Select, and their families, receive free medical assistance and free schooling for all the children through a program called SAHEP. When you first take the ball out and have your first few touches on it, you can tell it is consistent and of high quality. The ball performs well making short or long passes and it seems to have a solid rebound. I found it to be really easy to take out of the air and dribbling with the ball is quite enjoyable. There are no issues with the ball “sticking” to your foot or the surface being too slick. Because of its solid construction, the ball is one of the best I have used to juggle with. It just seems extremely easy to control, and believe it or not, I broke my juggling record on one of the first few attempts. The ball does seem to be on the heavier side of things but it’s not that noticeable. Want to learn more about Select? Find their story here. Have questions about some of the terminology (Latex Bladders, PU, etc…)? Visit Select’s encyclopedia here. One of the most important aspects of a ball is its flight pattern. A great example is the World Cup Jabulani, which was under intense pressure from players because it was so unpredictable in the air. The Royale has a predictable flight pattern; but the ball may be harder to control when striking long shots than it seems. Basically, I found that if you want the ball to fly straight and you hit it right, it will. However, I did find that it is slightly harder to get the ball to dip and curve. At first, it seemed as if the ball didn’t want to curl and dip like I wanted it to. Thankfully, later on, I was able to get it to bend and dip more, but it still seemed like it was slightly resisting. This means that keepers should find that this ball is predictable, but free kick specialists will just have to spend a little more time with the ball to learn how it flies. However, I do want to clarify that I would much rather a ball to be consistently slightly harder to curve than for it to be uncontrollable and harder to predict. Compared to Similarly Priced Balls: For me, it is a better option than many other balls in the same price range. 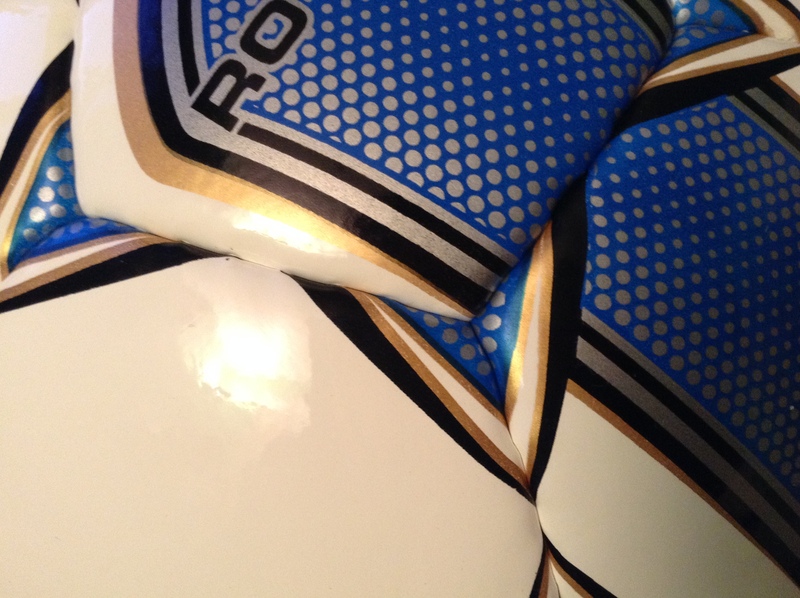 I found it to be slightly more consistent than balls such as the adidas NFHS Tango 2012 training ball. Also, many of us, including me, may have a perspective that a $15 replica ball will be all we need. However, I have found that it is worth the extra bit that you may have to pay to get a ball like Royale or of similar quality. I have gone through a few of the cheaper replica balls, and every one seems to have an unpredictable flight pattern and the stitches have failed me multiple times, revealing the inner bladder of the ball (which eventually makes the ball unusable). Although my overall experience with this ball was positive, there are a few issues that I want to cover. First, all of the Royale’s colorways have a primary white color. I like the colorway, but it scuffed quite easily. After the first session I had with them, I was looking at a variety of black and green marks that were difficult to remove. It’s easier just to live with them than to constantly try to clean the ball, especially because the scuffs don’t actually affect performance. Perhaps Select could introduce a few darker colorways on the Royale. One more thing I had a slight issue with was the ball holding air. I found that I had to pump up the ball at least once a week. But after further investigation, I found (according to the Select encyclopedia) that the ball has a Latex bladder. A latex bladder is supposed to have much more elasticity, liveliness, and bounce compared to other materials. However, they do acknowledge that the ball will have to be pumped roughly once a week. I guess to get the better performance, you do have to sacrifice something, in this case it means you will have to remember to pump the ball on a weekly basis. As a note: I spoke to what a few of my teammates about what their thoughts on the ball were. Both found the ball to be very consistent and high performing, but they did confirm my suspicions that the ball seemed a bit heavy. Summary: A consistent high performing ball that will last you a long time. I would recommend the ball to anyone, especially because it is a very affordable $69.99. You can buy the ball on soccer.com and you can Select’s whole range of products on their product page. 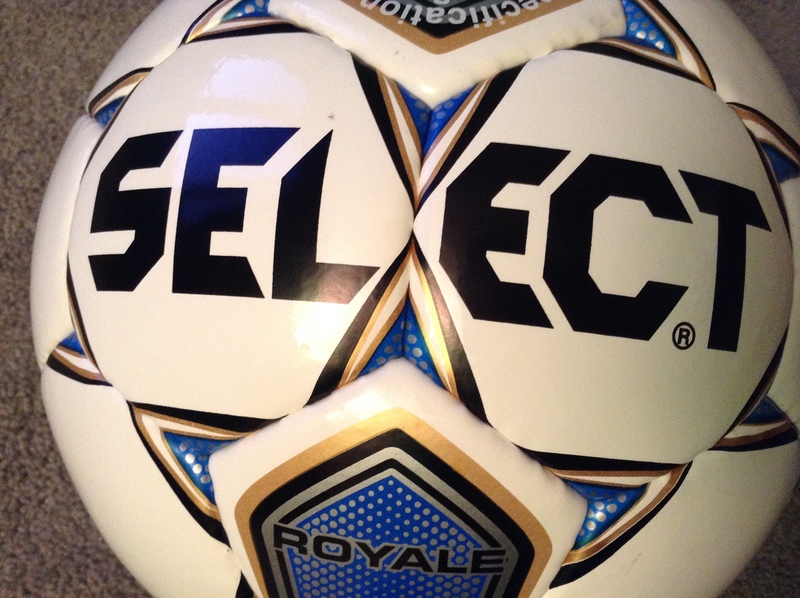 What do you think of the Select Royale Ball? Let us know in the comments below! Ethan is our guy who is going to take things to the next level as a SoccerCleats101 pro player. He is set to play on one of the best high school soccer teams this Spring (Blacksburg HS, VA) and will be providing us with news and reviews from a competitive standpoint. Find him on Twitter if you want to talk High School soccer! Why Nike Love Goal Line Technology! I really like this ball. I play defense but I attack quite often and take a lot of set pieces. During last summer I was practicing my free kick technique. 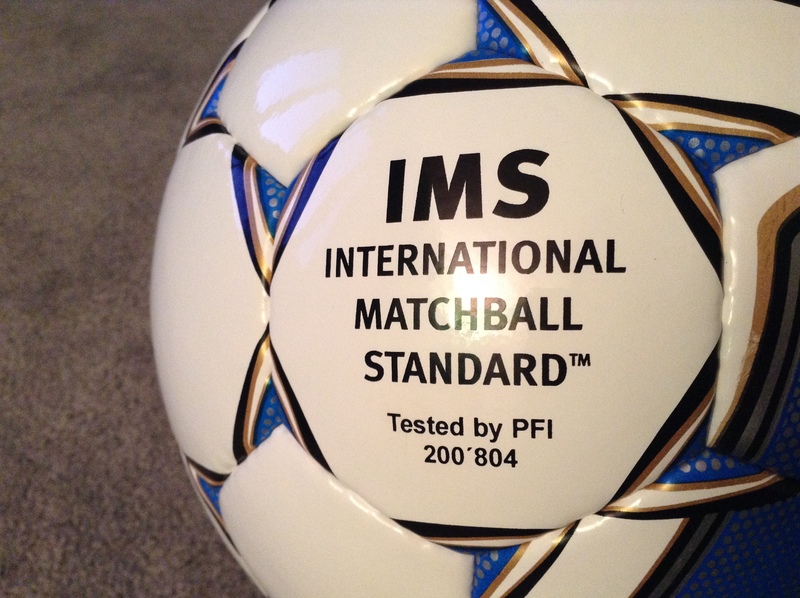 I had the chance to use a couple of these and some of my match balls. I had the best results with the Royale and my Voit match ball. Then later that week I went to play a game, and the balls provided were the Select Royale. Would you know it I dropped two free kicks from 35 yards out. I like the fact that I have to really focus on my technique with this ball. It is very consistent and although it is heavy (just a tad) I feel like the extra weight helps me control the dip of the ball. Overall great value though. Just think for about the price of one Ordem or Brazuca you can get two of these.